– Knob switch, easy and convenient to operate. – Timer setting, fault code guidance. – Using a new high purity aluminum, fine workmanship, reasonable structure. – Heating body, higher thermal conductivity, more smooth cycle. – Automatic Temperature Control: 65~70 Celsius. – Applicable vehicles: 12V Gasoline and diesel vehicles​. 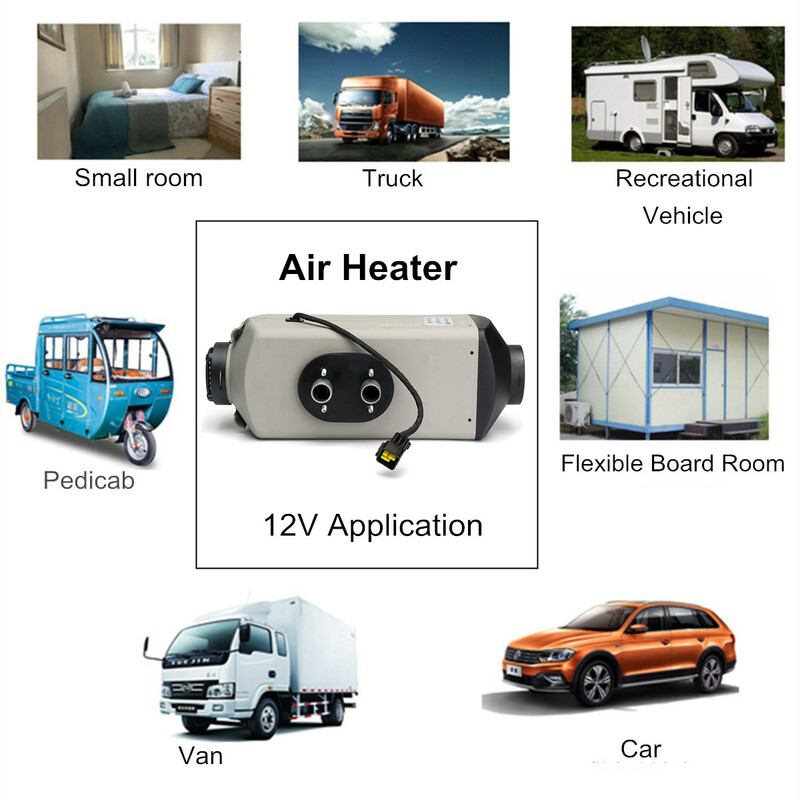 Natural heater can not use this pre-heater, the pre-heater can only be used for the use of high-quality glycol antifreeze vehicles, low-grade antifreeze will produce scale, rust and ice, plug the pre-heater.